Hagiwara Sakura and Miyazawa Elena are the leading members of a popular idol group "Sweet". 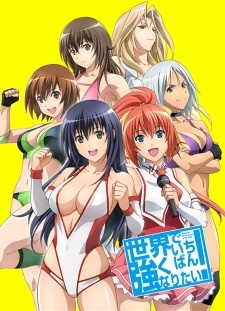 One day, Elena is injured by the attack of a female pro-wrestler Kazama Ruo during the recording of a TV program. Sakura gets mad at Ruo and gives her a dropkick. To avenge Elena, Sakura enters the female pro-wrestling matches.